The general manager of the Lagos State Emergency Management Agency, Adesina Tiamiyu, has confirmed the deaths of at least five people in an incident that happen at about 5.57 pm in a boat accident in Lagos. 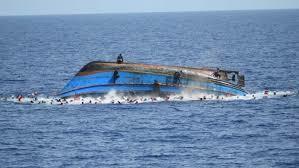 According to report the is a 20-capacity passenger boat which belong to Blue sea capsized mid-sea enroute Ikorodu from Lagos Island. Bodies of victims have since been deposited at the morgue at Ikorodu general hospital. The deceased, whose identities still remain unknown, include four women and a man. Meanwhile, five other persons were rescued after the incident. rescue team are making efforts to recover some lost.